Provides valuable information on income tax returns, filing return of income, benefits of filing return, documents enclosed with return filing, due dates of filing returns etc.. It is a prescribed form through which the particulars of income earned by a person in a financial year and taxes paid on such income is communicated to the Income tax department after the end of the Financial year. Different forms are prescribed for filing of returns for different Status and Nature of income. Click here to download Income Tax Return Forms. The Public Relation Officer [PRO] can be contacted for this purpose. The form can also be downloaded from the site http://www.incometaxindia.gov.in/. The new return form numbering 1 to 8 is annexure less. Hence no documents need to be attached. A return is to be filed before your Assessing officer. It may even be sent by post or filed electronically. Nowadays returns are also being received at designated post offices. He/She is an officer of the Income tax department who has been given jurisdiction over a particular geographical territory or class of persons. You can find out from the PRO or from the Departmental website http://www.incometaxindia.gov.in/ as to your jurisdiction. Companies and firms are compulsorily required to file their return electronically, while for others it is still optional. For electronic filing of return you have to log on to the Departmental website http://www.incometaxindia.gov.in/ and upload the information of income and taxes in the prescribed form. If you have digital signature the same can be appended and there would be no need to file a paper return. In case you do not have a digital signature you will be required to file a paper return quoting the provisional acknowledgement number received on completion of uploading. You can authorize any person by way of a Power of Attorney to file your return. A copy of the Power of Attorney should be enclosed with the return. Any Disadvantages of Filing return? By not filing your return in spite of having taxable income, you will be laying yourself open to the penal and prosecution provisions under the Income-tax Act. Filing of return is your constitutional duty and earns for you the dignity of consciously contributing to the development of the nation. This apart, your IT returns validate your credit worthiness before financial institutions and make it possible for you to access many financial benefits such as bank credits etc. If you have sustained a loss in the financial year, which you propose to carry forward to the subsequent year for adjustment against its positive income, you must make a claim of loss by filing your return before the due date. This may take the form of interest if the return is not filed before the end of the assessment year. If the return is not filed even after the end of the assessment year, penalty may also be levied. It may be furnished at any time before the expiry of two years from the end of the financial year in which the income was earned. For example, in case of income earned during FY 2006-07, the belated return can be filed before 31st March 2009. It is never too late to start honoring your constitutional obligations for payment of tax. The department may ask you to file return of income for earlier years if it finds that you had taxable income in those years. 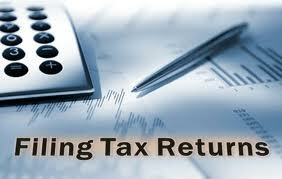 The excess tax can be claimed as refund by filing your income tax return. It will be refunded by issue of cheque or by crediting to your bank account. The department has been making efforts to settle refund claims within four months from the month of filing return. The original return has been filed before the due date and provided the department has not completed assessment. However it is expected that the mistake in the original return is of a genuine and bona fide nature. Theoretically a return can be revised any number of times before the expiry of one year from the end of the assessment year or before assessment by the department is completed; whichever event takes place earlier. Since legal proceedings under the income tax act can be initiated up to six years prior to the current financial year, you must maintain such documents at least for this period. Amounts paid as advance tax and withheld in the form of TDS or collected in the form of TCS will take the character of your tax due only on completion of self-assessment of your income. This self-assessment is intimated to the department by way of filing of return. Only then does the government acquire rights over the prepaid taxes as its own revenue. Filing of return is critical for this process and, hence, has been made mandatory. Failure will attract levy of penalty. Non-payment of tax attracts interests, penalty and prosecution. The prosecution can lead to rigorous imprisonment from 6 months to 7 years and fine. 0 Response to "Return Filing of income tax"